Blood pressure is a measure of how strongly the blood is pressing against the walls of blood vessels called artery as it is pumped around the body by the heart. It is made of two measurements comprising of the systolic and diastolic BP. Systolic BP is when the heart is beating and pumping blood. Diastolic BP is when the heart is filling up with blood between beats. It is measured in millimeters of mercury (mmHg) and is recorded as systolic blood pressure over diastolic blood pressure. If the blood pressure is repeatedly measured more than 140 and/or 90 mmhg or above in the clinic, the person may have high blood pressure. The medical term is hypertension. 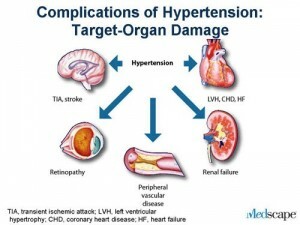 A doctor should be consulted for the diagnosis and to classify into specific category of hypertension. Hypertension is a silent disease; the majority of cases in the country remain undiagnosed. In order to detect more cases blood pressure should be measured at every chance encounter. The prevalence of hypertension in Malaysians aged 30 years and above was 42.6 percent in National Health Morbidity Survey 2006. 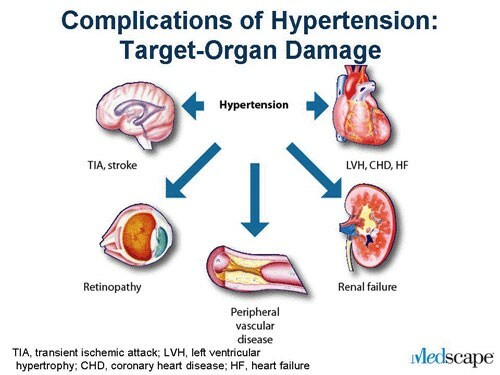 Hypertension places stress on several organs (called target organs), including the kidneys, eyes, and heart, causing them to deteriorate over time. Coronary Artery Disease. 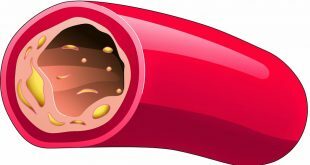 High blood pressure contributes to the thickening of the blood vessel walls, which can cause or worsen atherosclerosis (accumulated deposits of cholesterol in the blood vessels). The end result is coronary artery disease (CAD), also called ischemic heart disease. CAD which increases the risk for angina (chest pain), heart attack, stroke, and death. High blood pressure is the most common risk-factor for heart attack and stroke. Heart Failure. High blood pressure increases the heart’s workload. These will lead to thickening of heart muscle and finally enlargement of left ventricle. 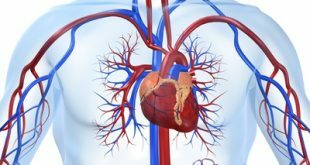 The amount of blood pumped by the heart each minute (cardiac output) goes down. Without treatment, this can lead to heart failure. Cardiac Arrythmias. High blood pressure increases the risk for cardiac arrhythmias (disturbances and irregularities in heartbeats). Arrhythmias include atrial fibrillation, premature ventricular contractions, and ventricular tachycardia. About two-thirds of people who suffer a first stroke have moderate elevated blood pressure that cause thickening of the blood vessel walls. 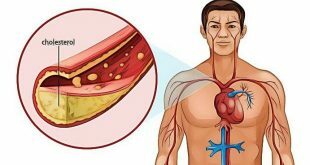 This can cause or worsen atherosclerosis and finally lead to stroke. Stroke happened as the result of rupture or blockage of the blood vessel in the brain. Hypertension is also an important cause of so-called silent cerebral infarcts, or blockages (mini-strokes) that may predict major stroke or progress to dementia over time. Persistent high blood pressure in the presence of common factors such as smoking and diabetes will lead to thickening of the blood vessel walls. The long term consequence of ischaemia in the extremeties is pain over the extremeties and finally may lead to gangrene. High blood pressure causes 30% of all cases of end-stage kidney disease (medically referred to as end-stage renal disease, or ESRD). Diabetes as a co-morbid, factor will lead to more cases of kidney failure. High blood pressure can injure the blood vessels in the eye’s retina, causing a condition called retinopathy. These may cause bleeding in the eyes that can end-up with blindness. The higher the blood pressure is, the greater your risk of complications. High blood pressure can be treated by making changes in the lifestyle and with medications. Both approaches will help to lower the blood pressure and reduce complications. Recommendations for follow-up based on initial blood pressure measurements for adults. Please ask your doctor your cardiovascular risk as it will effect the management of your blood pressure and other risk factors that you have. Effort must be made to reach the target Blood Pressure. Most of the time patient may need more than one type of medication to achieve the target blood pressure. Target blood pressure for other specific groups or specific topics are described elsewhere in portal MyHealth.